Reports from Tamimi Press indicate that Sunday evening the Israeli army invaded the Palestinian town of Nabi Saleh in the West Bank. They fired live ammunition and gas bombs and clashed with local youth. There were a number of clashes between Palestinian youth and the Israeli soldiers as a result of the Israeli invasion. 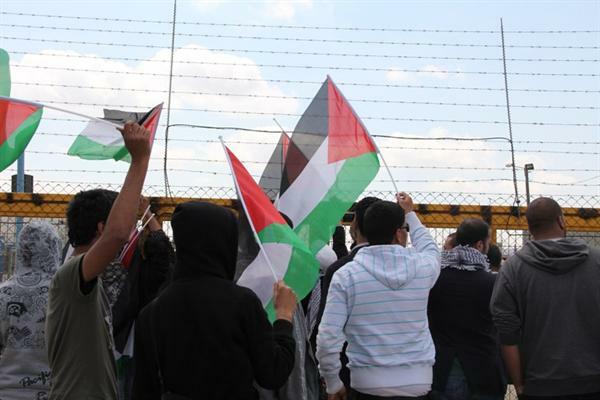 The youth threw stones in response to the Israeli soldiers firing live ammunition and gas bombs. In addition to the soldier attacks, Israeli settlers from the illegal settlement Halamish attacked cars on the main road of Nabi Saleh. No reason or justification for the Israeli invasion has been given, and there are no confirmed reports of any injuries yet. Nabi Saleh has been attacked many times in recent weeks by settlers and the Israeli army. Muheep Barguthy, a photojournalist from Al-Hayat, and David Cronin, an author and correspondent for the International Press Service, were arrested in the village of Nabi Saleh last Friday, during a weekly demonstration. 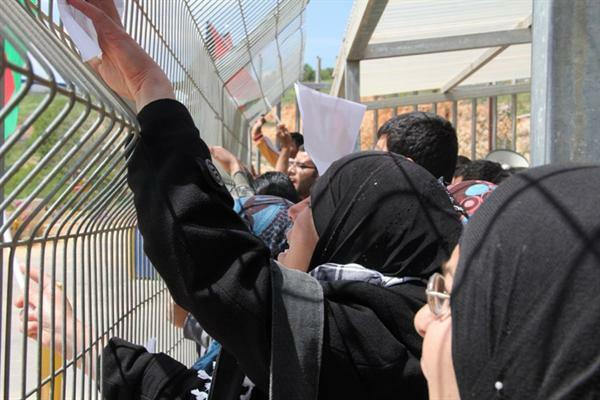 Three Palestinian villagers, Eyad Tamimi, Rafat Tamimi and Malik Tamimi were also arrested. Last Friday, international and Palestinian activists witnessed what has become routine in Nabi Salih—the disproportionate use of force used by the Israeli army against demonstrations in the village. Protests in Nabi Saleh started in 2009 in response to the illegal seizure of the land surrounding the village—including the spring named Ein al-Qaws—by the nearby settlement of Halamish. Before that, the spring was owned by a Palestinian resident of the village, Bashir Tamimi. By seizing control of the spring and its surroundings—and denying Palestinians access to their land—the Israeli settlers, who receive significance support from the Israeli army, have taken almost all resources away the residents of Nabi Salih. This tactic is nothing new. Settlers and the military have violently attacked the village of Nabi Saleh three times in the past week, burning fields, shooting live ammunition and raiding houses in the village. Following a fire that burned through fields belonging to residents of Nabi Saleh near the Jewish-only settlement of Halamish on the afternoon of Monday the 25th, armed settlers blocked the adjacent main road, using violence to prevent the passage of Palestinian cars. A family of four was viciously attacked, causing injury to an old woman and a 19 year-old woman, who went into shock. As Palestinians started gathering, Israeli soldiers who were present at the scene reacted by trying to push them away and back to the village instead of removing the settlers, eventually invading the village. The soldiers shot immense astounding of tear-gas, rubber-coated bullets and live ammunition at houses and people in the village, luckily causing no injuries. The incursion finally ended at 11 PM when the soldiers left. The following day, Tuesday the 26th, at roughly 2 in the afternoon, settlers tired to set fire to an olive grove belonging to a farmer from Nabi Saleh. As youth from the village noticed the settlers and quickly descended from the hilltop village to stop the fire, armed settlers open fire on them from automatic assault rifles. The army, in turn, then staged another incursion into the village – the second in two days – again using immense amounts of tear-gas and live ammunition. Armored military vehicles went in and out of Nabi Saleh for no foreseeable reason. As the sun started setting over the village, soldiers took over a house in the center of the village. One of the tear-gas projectiles shot by the soldiers shattered a window in one of the village’s houses and set fire to the mattresses it landed on. Clashes between soldiers and local youth continued sporadicly until the soldiers left shortly after 9 PM. No disturbances were recorded on Wednesday, until the Israeli army staged a night raid on the village at 1:30 in the AM of Thursday the 28th. 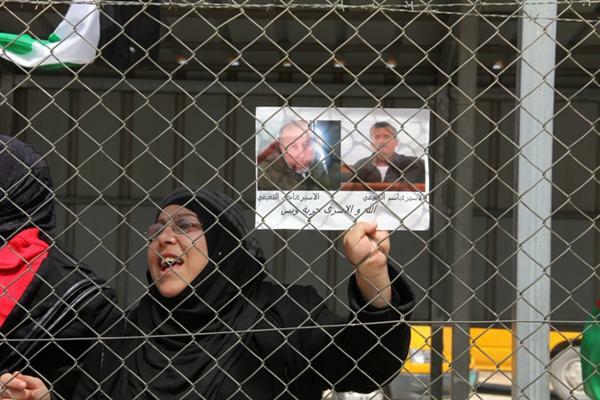 The soldiers raided and searched the houses of imprisoned village leaders Bassem and Naji Tamimi, as well as that of Mahmoud Tamimi without showing a search warrant. While in Mahmoud Tamimi’s house, the force’s commander threatened him that raids will be held nightly until “troubles” in the village cease and desist. Clashes, again involving the use of live ammunition by the army continued through the night, until the soldiers left shortly before sun rise. This Friday Nabi Saleh demonstration against the settlements and occupation was joined by a group of West Bank March 15 activists and was larger than usual. Some 80 people marched through the village’s main street and then crossed into the fields to reach the spring and land being stolen and threatened by settlers. This turn to the fields also helped the protesters avoiding being fired at by the Israeli soldiers who awaited them down the street. Even before the marchers could reach the village’s main road, Israeli soldiers came to stop them, throwing stun and tear gas grenades and shooting rubber-coated metal bullets at a non-violent protest. This, however, did not deter the protesters, who kept standing in front of the soldiers in defiance. The soldiers than turned to violently arresting two Palestinian protesters and attempting to arrest a third one.